The past week I have been involved with a range of workshops for International IDEA in Myanmar. This included with the Supreme Court, Constitutional Tribunal, members of parliament and ethnic political parties. The workshop with the Constitutional Tribunal focused on the 'The Process of Constitution Building: Constitutional Design and Constitutional Interpretation in a Federal System'. 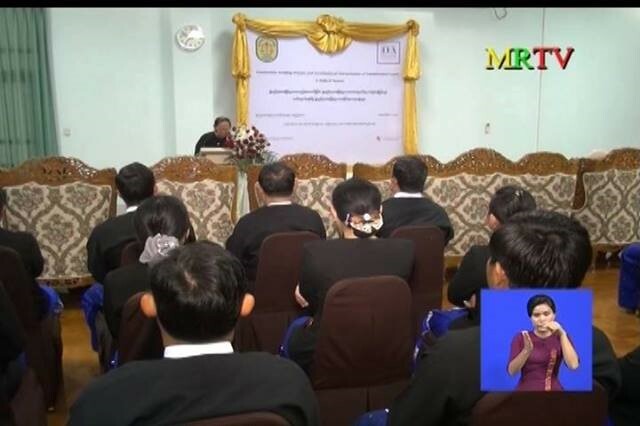 Coverage of a workshop with the Constitutional Tribunal appeared on national television (mrtv), and in the Myanmar-language daily newspaper (Kyemon), on 9 February 2018. In the coming week, we have several workshops as part of the annual Australia-Myanmar Constitutional Democracy Project. This colaborative education initiative began in 2013. Since then, there have been multiple annual workshops with a wide range of stakeholders on matters of comparative constitutional law. This month the workshops will be held in Taunggyi and Yangon.